Please think of us before you shop online—it’s free to you and valuable to us. 2. Go to Your Account and select Cross and Crown Lutheran Church as your charitable organization. Welcome to Cross and Crown Lutheran Church and School. We hope to be a place where God's story of faithfulness inspires our faithfulness, where spirituality moves out of worship into service. 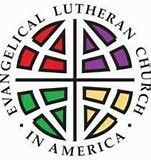 We are here in Rohnert Park, Sonoma County as a mission outpost of the Evangelical Lutheran Church of America (ELCA). Sunday worship times are 8 a.m. and 10 a.m. with an educational hour between services. Our Kid's Club for ages 3 through 5th grade meets during the 10 a.m. service. We will save a seat for you. Come and see! We're glad you're here! Let us tell you a little bit about us. Have a prayer request? Let us know, we'd love to pray for you. Check out the current ministries and volunteer opportunities available. Interested in a quality preschool or elementary education for your child? Check out our school! Come join us for any or all events. Copyright © 2019 Cross and Crown Lutheran Church and School. All Rights Reserved.